Experience an ultra first class competitive skate park for in-line skating, biking, skateboarding. 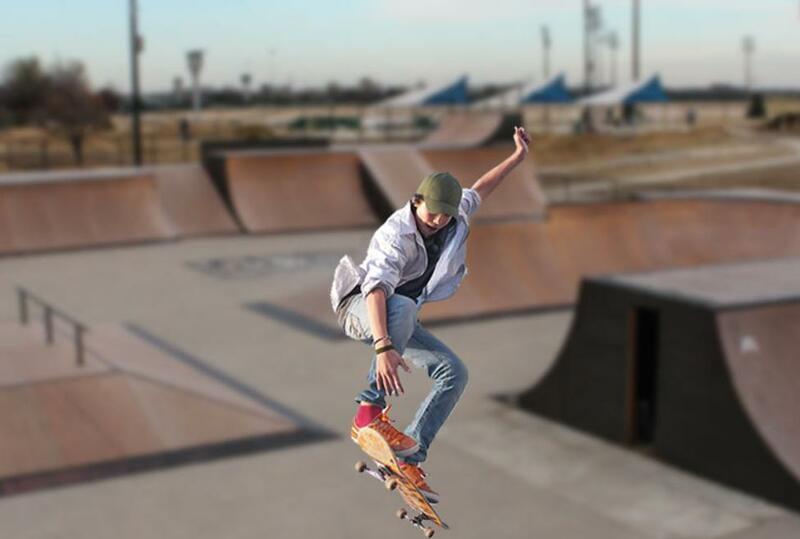 This $1.2 million outdoor skate park, funded by the City of Grand Prairie, includes a advanced outdoor course, intermediate/advanced covered course, and a beginner's course. The park also has a full service skate shop on site with skateboards, shoes and clothing.